No one wants to live with scarring, especially on your face. Not only is it unattractive, but issues like acne scarring can remind you of tough times and make you feel less confident. 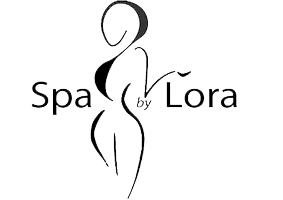 Lora offers several treatments to reduce the appearance of scars from both the Bucktown and Ravinia locations of Spa by Lora, in Chicago and Highland Park, Illinois. Contact your preferred location to make an appointment today. Scars are the visible signs of healed wounds. Lora offers a variety of treatments to reduce the appearance of scarring from injuries, acne, or sun damage spots. Scar removal treatments work by deeply exfoliating the skin, removing the uppermost layers of skin to even out your skin tone, and by stimulating collagen production from within your skin, to plump scar depressions from the inside. What scar removal treatments are available? Lora offers Cuter laser treatments combined with chemicals peels, microdermabrasion, dermaplaning, or microneedling for the best possible results. A chemical peel is a deep exfoliation treatment. Lora applies a chemical solution to your skin which causes the top layers of skin to flake away, revealing fresh, smooth skin underneath. You will notice a difference immediately, although your skin will continue to flake off for the next several days. During microdermabrasion, Lora directs a spray of fine crystals over your skin. This treatment also thoroughly exfoliates your skin, removing old, dead skin cells. This treatment is gentler than a chemical peel and causes an immediate exfoliation, while with a chemical peel, your skin may be dry and flakey for several days. Dermaplaning is a safe and sterile process where Lora uses a small scalpel to gently and carefully shave away your top layer of skin. In addition to getting rid of old cells and scars, dermaplaning also removes your ‘peach fuzz’ to further smooth your complexion. Microneedling is a cosmetic treatment that applies a needle pen to your skin to create micro-injuries. These tiny pinpricks stimulate your body’s healing response, flooding your skin with the oxygen and nutrients needed to stimulate cell generation. How should I take care of my skin after a scar removal treatment? Lora will give you customized skin care advice following your scar removal treatment. Your skin may be sensitive, so you may need to use a gentle cleanser and special moisturizer. You should take care to avoid the sun. Drink plenty of water and get sufficient rest. Your body produces collagen and elastin while you sleep, which helps to improve the texture of your skin. If you have questions about scar removal or want to find out what treatment will best help you get the smooth, clear skin you've always wanted, contact your preferred Spa by Lora location to schedule a consultation today.